Hands-down, THE best clam chowda in the Bay Area. I also like the dairy-free clam chowder at Barbara’s Fish Trap, but Sam’s serves their masterful version of the classic New England clam chowder. It had the best consistency. Not too thick, not too creamy. There was an abundance of large clam necks, smoky bacon and Yukon gold potatoes. It couldn’t be any more perfect. 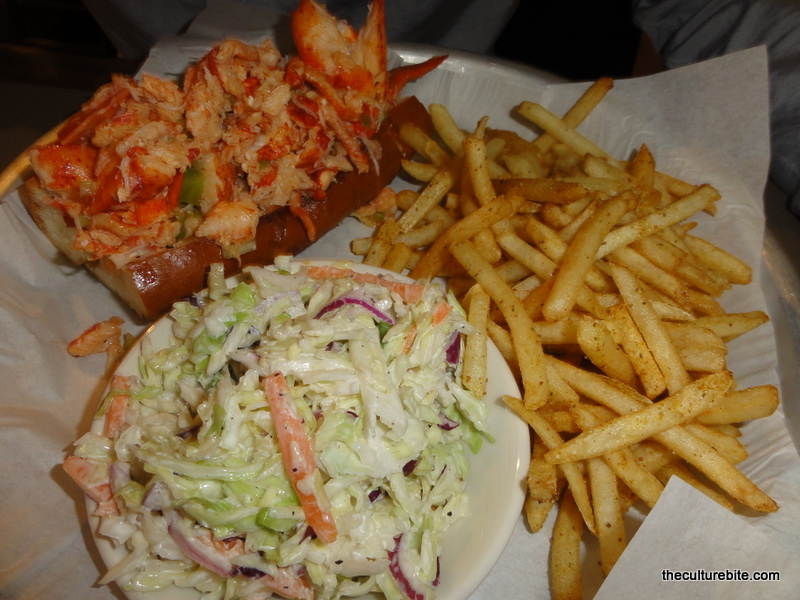 K and I each ordered lobster rolls which were absolutely fabulous. The chewy, toasted roll is stuffed with, what it seems like, a whole lobster and lots of butter. It also comes with a side of coleslaw and chips. K swapped the chips for fries which I was totally envious of. My trick, add the coleslaw to the sandwich. It adds some sweetness and a crunch. Yum! I’m giving Sam’s 4 clubs since our service was a little off that night.